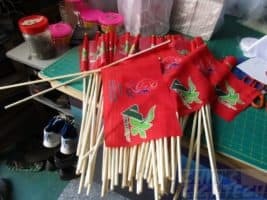 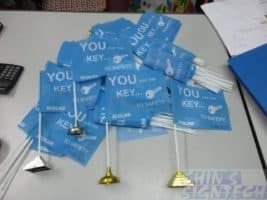 Selling Teardrop, Feather, Rectangle, S shape & Dragon Flags. 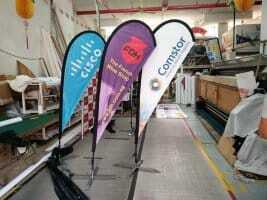 Teardrop Banners, featuring a unique droplets shape that is intended to draw the attention of passersby, great way to advertise a business or organization. 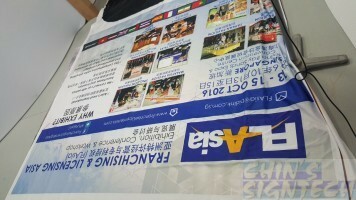 The large printed area ensures that your promotional banners are always view able, even from a distance. 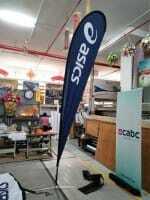 Custom print these Teardrop Flying Banners with your company logo, slogan or message and increase the impact of your marketing efforts. 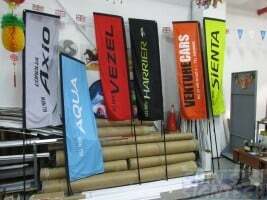 Teardrop banner attract attention and bring traffic inside your store or business! 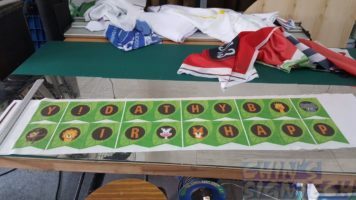 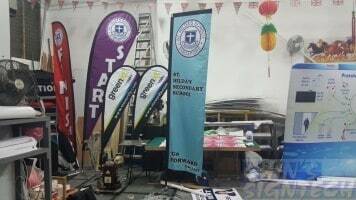 When choosing your Teardrop banner, you have the option of single or double sided printing. 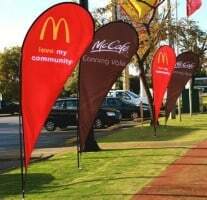 In 90% of cases a single sided flag is recommended. 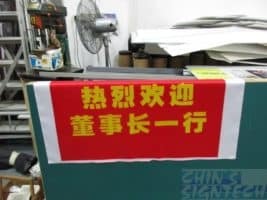 The human eye can interpret a mirrored image on the other side. 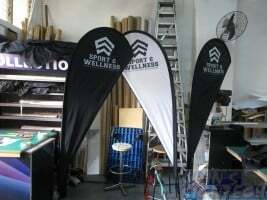 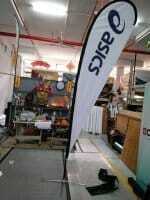 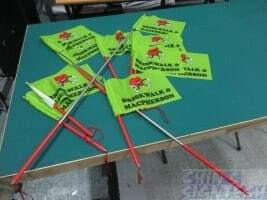 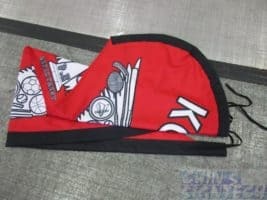 Single Sided Flags wave and withstand more wind, will last longer outdoors than a double sided flag. 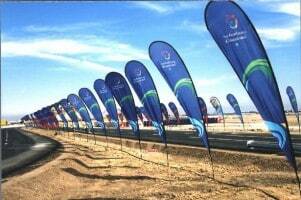 That flying motion is what makes drivers look. 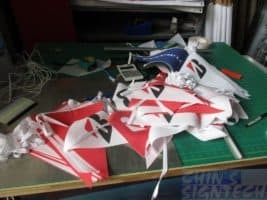 Double sided flags weigh 2 1/2 time more. 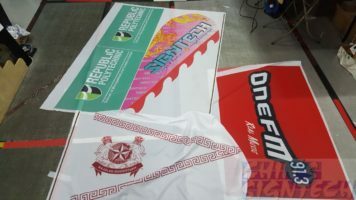 Double flags are also the best option for more detailed designs and anytime the graphic needs to read correctly on both sides. 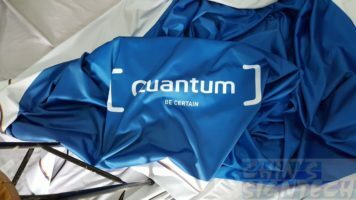 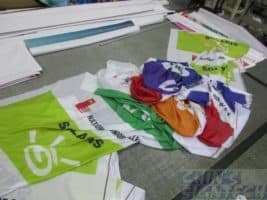 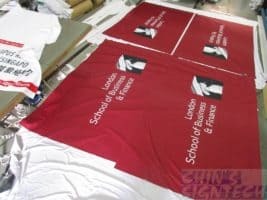 Printing goes through fabric and is visible on the reverse side. 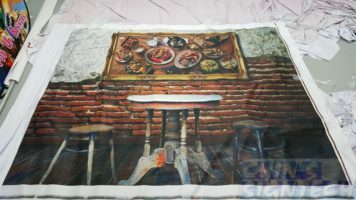 Artwork printed on two pieces of fabric. 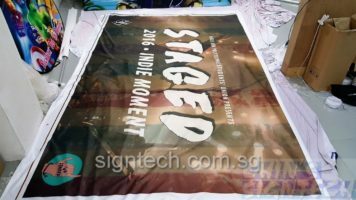 Correct artwork read on both sides. 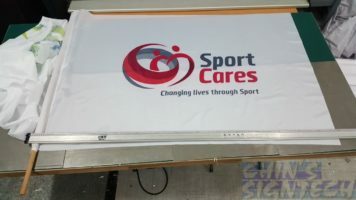 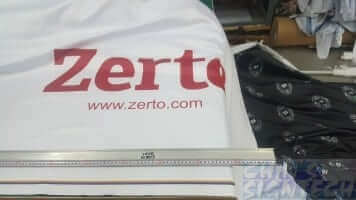 Due to the limited size and height for the Teardrop Banner, they are ideal for simple graphics with big bold lettering. 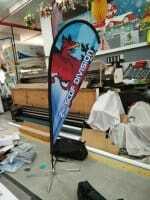 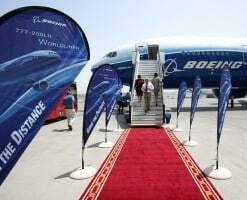 You may consider taking below Flying Banners with more area to put your graphics. 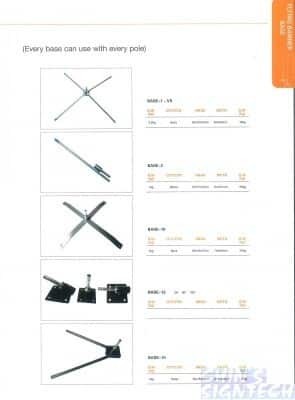 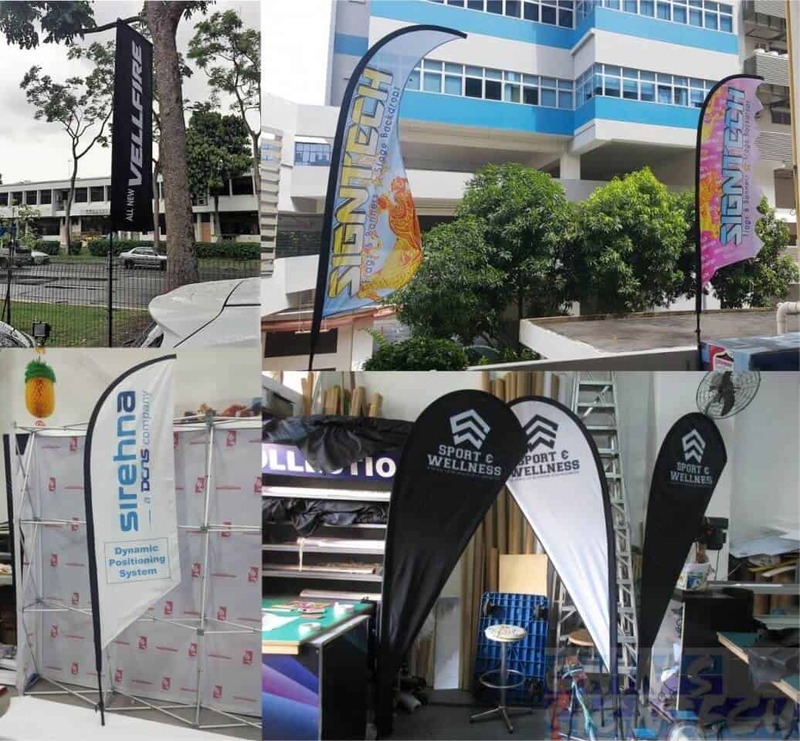 Feather or Knife Flags : Shape of a Feather, Knife or Blade. 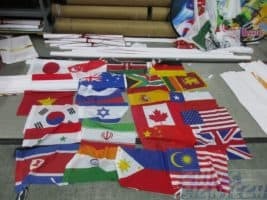 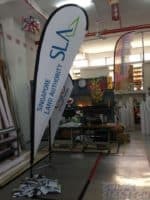 Rectangle Flags with unique vertical flag design always displays your message on calm days or inside. 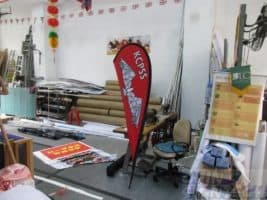 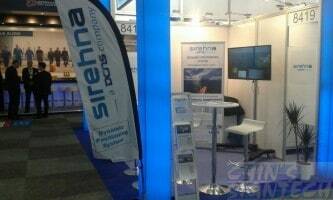 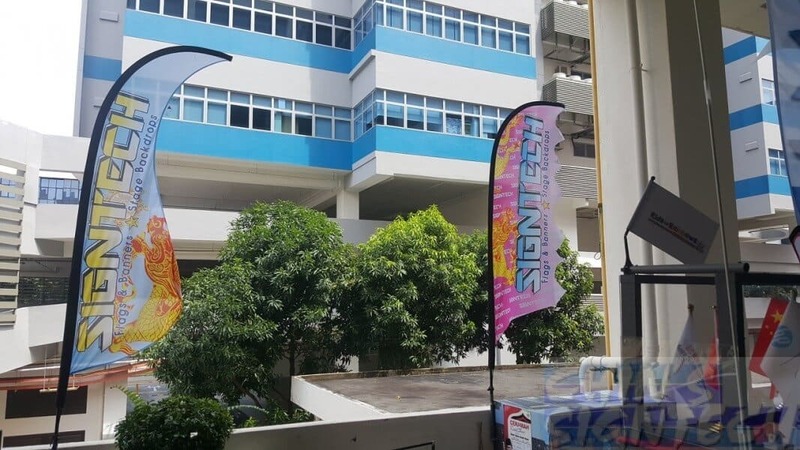 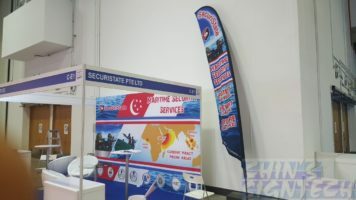 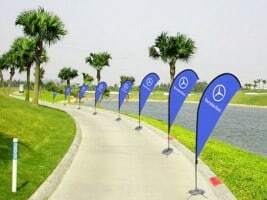 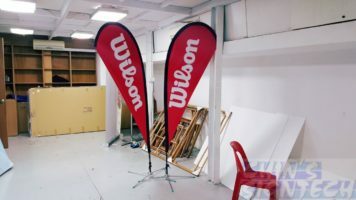 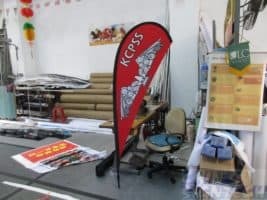 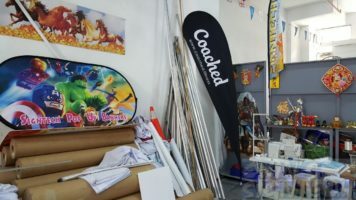 Examples on how to make use of Teardrop banners or Feather Flags as advertising flags to get attention and bring more customers inside your store, exhibition booth or event to increase sales. 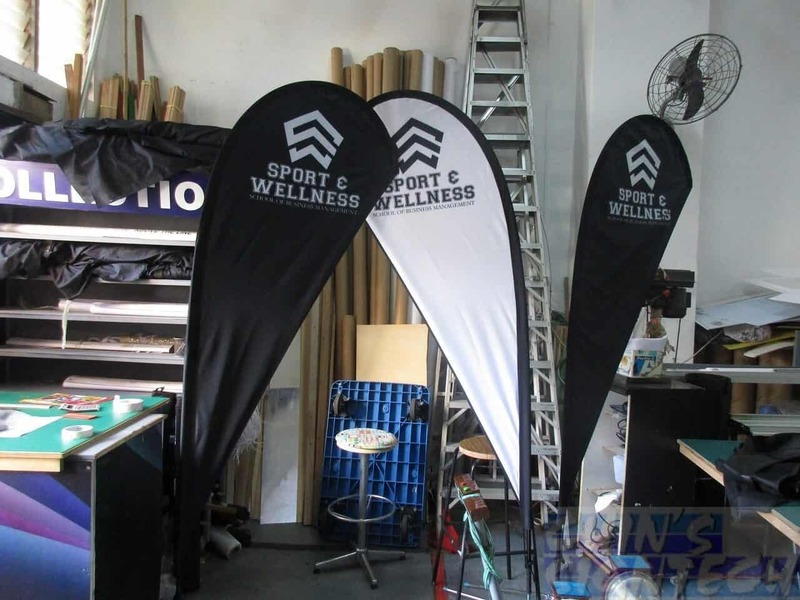 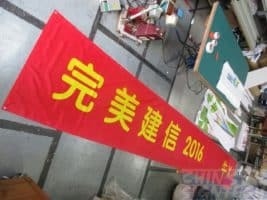 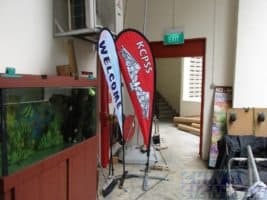 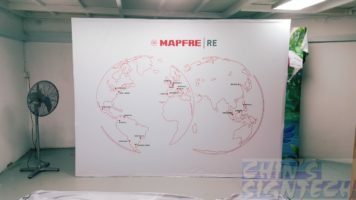 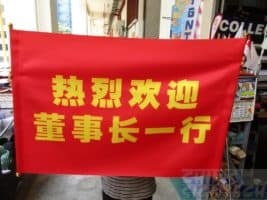 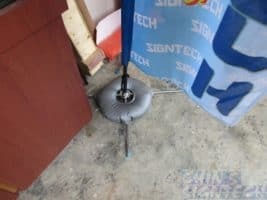 Small : flag size 79.8X193.8CM, after bend the overall height is: 2.25m – $200+ – Popular height, just nice enough without worry about ceiling height. 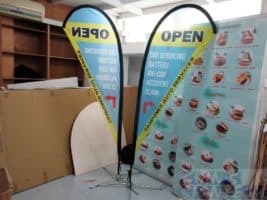 With such a commanding height, along with the movement caused by the wind; these outdoor event displays will help your booth or store stand out among your competitors. 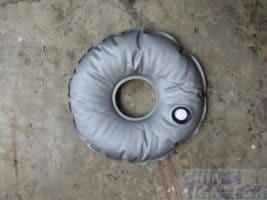 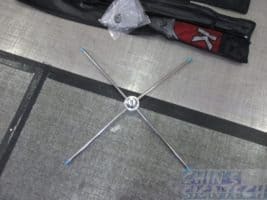 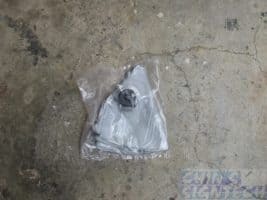 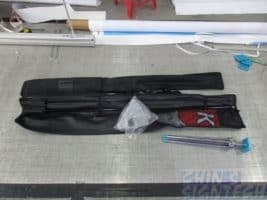 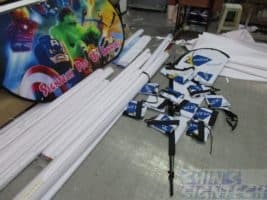 These Teardrop Banners are shipped unassembled; however the assembly process is quite simple, no additional tools are required. 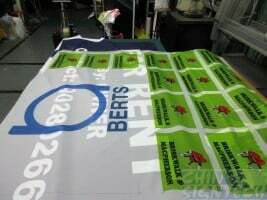 Printed with a high-quality printing process for the most vibrant colors and sharpest images. 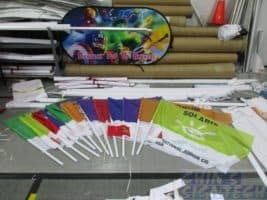 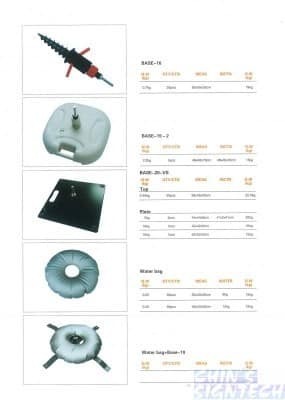 All of the units sold here are offered with several print options as well as a couple of different sizes. 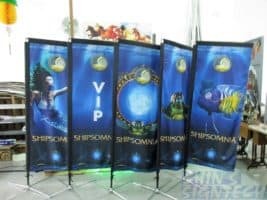 Which Base to choose for my Teardrop banner ?